I don’t know why Engineers always use Pomson in allcrit; sure its got a hitbox the size of a truck, but since the nerf it can only hit one target. Widowmaker hits as many as you want, and if you land roughly two pellets you’ll get all your metal back. But don’t stop there; plop down mini-sentries, which like all buildings are immune to critical hits, and then Wrangle it. The people on allcrit servers will not be prepared to handle this. It’s great fun. Direct Hit is also good if you don’t care as much about survivability and the ability to litter the battlefield with tombstones. The Backup is what matters; now that it fills by dealing damage instead of taking it, it has become a great allcrit weapon because you don’t have to risk death trying to fill the thing up. Once you have it, pop it; your enemies can enjoy your 40% damage resistance and crit imunity, while you still gain +10 hp from every crocket that hits somebody, and it takes like 2.5 rockets to get another banner. Just keep cranking them out. 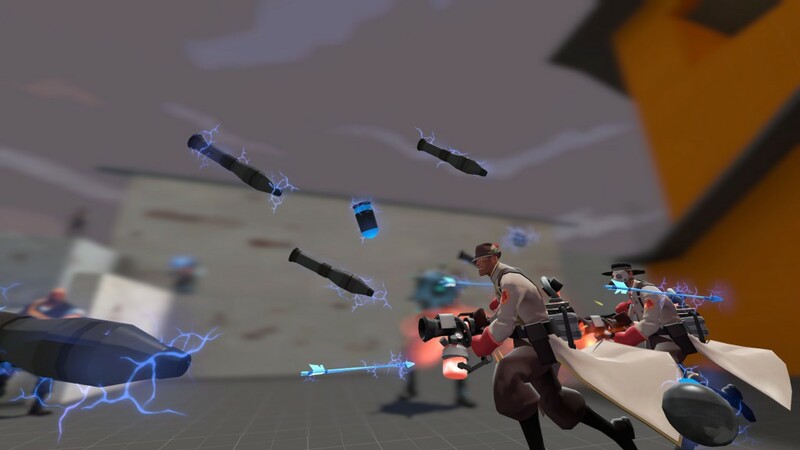 I’m reasonably certain Valve wanted Medic to be able to do this. Picture by Gen. DeGroot. You can pick any primary you want, you shouldn’t be using it anyway. Why? Because the Vaccinator NEGATES ALL CRITS WHILE YOU’RE HEALING SOMEONE. That is just as good as it sounds. Pocket someone (anyone), and they will deal critical damage, but your opponents will not. It’s glorious. 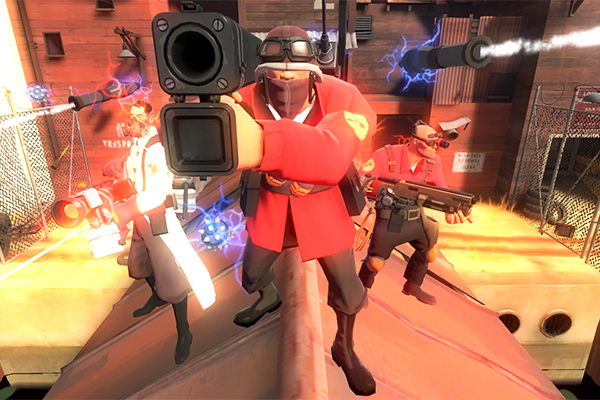 For the most hilarity, grab a friend and play two Vaccinator medics pocketing each other. You’re negating crits, overhealed, AND getting healed for 25% of the damage the other Medic takes. It gets fun fast, especially as the Snipers rage because you take like 30 damage from every shot. These loadouts have given me some of the most fun I’ve had recently playing TF2. Something about the allcrit environment that just lets you hang up your hat and have unfiltered fun. Definitely recommend giving it a shot at least once. Just unequip your stranges first; they rack up faster than you expect. Previous Previous post: A New Comic! That medic loadout is so brilliant, I have to try it! Many thanks! Wow. Are you sure that the vaccinator negates crits even without ubercharging? If so, does it stop normal headshots too? Yep. It utterly destroys headshots, the main threat when it comes to Medicing on all-crit maps.